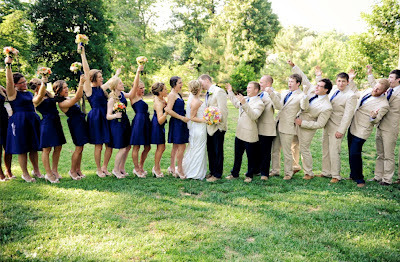 shop joielle: Real Weddings Round-Up: Mixed Alfred Sung Styles! 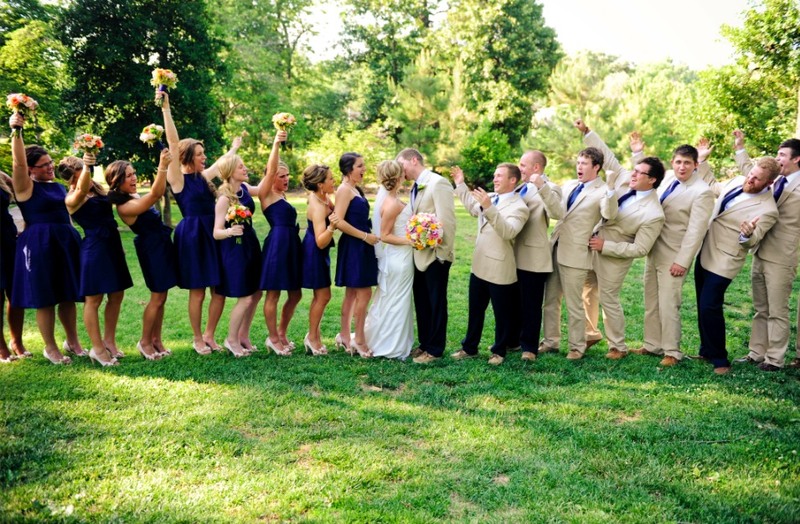 Real Weddings Round-Up: Mixed Alfred Sung Styles! Brides can't get enough of our Alfred Sung dresses, an affordable line with a palette of bright colors and a plethora of styles to choose from. 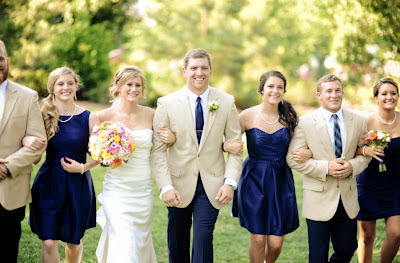 Here are a few real weddings photos from our Alfred Sung bridesmaids that have taken full advantage of picking styles that work best for them! 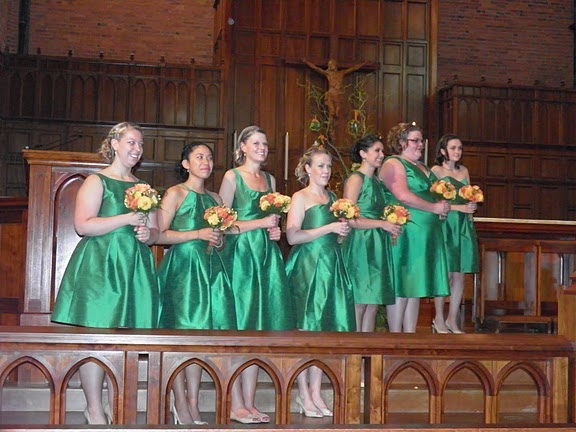 Kerry dressed her bridesmaids in Quarry dupioni, probably the most popular Alfred Sung color this past year. 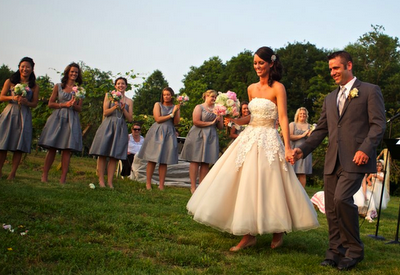 I absolutely adore her tea-length wedding gown. 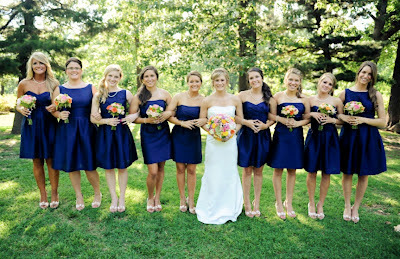 So many fluffy layers of tulle but still a great way to keep cool for a summer outdoor wedding in Kentucky. 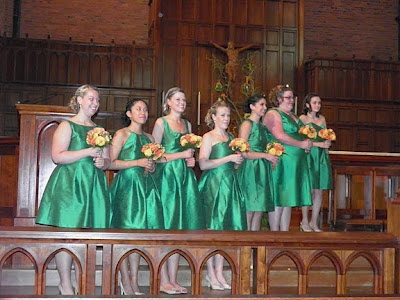 Everyone got their individual look in Elizabeth's bridal party with dupioni dresses in Ivy, a bold shade of kelly green! Jordan's girls selected from 3 styles: bateau, sweetheart neckline or sleek a-line in Midnight dupioni. The pearl necklaces and peep-toe pumps are an understated but unifying touch. Congrats to all our lovely brides and best wishes for a bright and joyful future ahead!